Tammy Einav, Mat Goff, Richard Brim, Alex Hesz and Anthony Falco have become the new management team at Adam & Eve/DDB. Managing directors Einav and Goff have been named joint chief executives. Executive creative director Brim is now chief creative officer. Hesz, the executive interactive director, becomes chief strategy officer. Director of production Falco is now chief production officer. The future of founders Jon Forsyth, David Golding, James Murphy and Ben Priest is unclear. They are still in discussions with owner Omnicom. Along with executive creative director Ben Tollett, they are expected to take group-level roles. 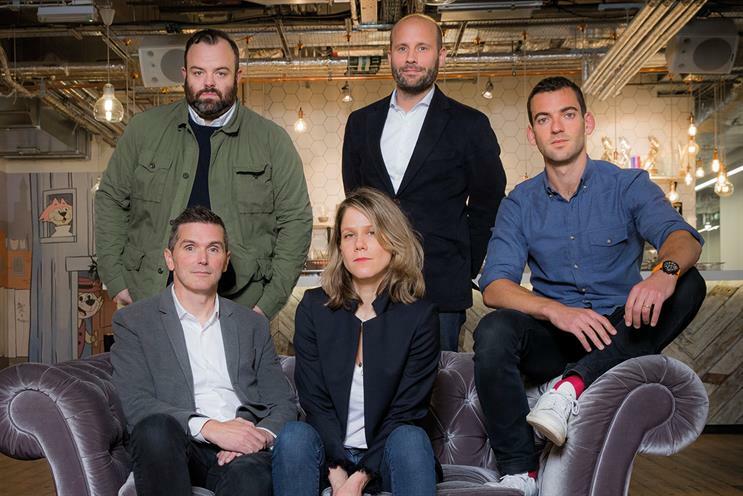 From 2 January, pharmaceuticals shop DDB Remedy and shopper marketing agency Haygarth will join the Adam & Eve/DDB line-up alongside digital shop Tribal and production agency Gutenberg Networks. It will increase the group’s headcount to 900. Adam & Eve/DDB is launching a New York office to service Samsung.